In Part 1, I discussed the Partnership Minyan (PM), the factors that I believe might fuel orthodox opposition, and the motivations that encourage participation. In Part 2, I shared some of the formative religious experience of my early life. In this final part, I’ll discuss my spiritual journey to, and experience within, PM. 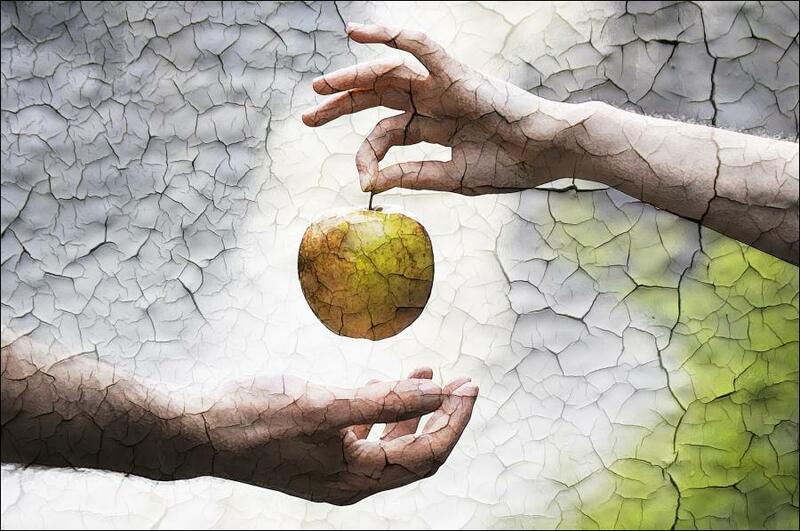 The woman gets her name – Eve – only after she’s eaten the fruit; her identity can only be fully realised when her eyes have been opened to the truth of reality. While Eve will never again know the innocence of Eden, at least she will have gained the wisdom she sought and become a person in her own right. This verse is first time we’re told that a human wants anything. The second mention of need occurs in the woman’s curse, where Eve is told that her desire shall be only for her husband. Both feminine desires, for knowledge and love, are framed negatively; as if we should be ashamed of them. How dare we want these things? How could we not? When I was thirteen, I stopped going to shul, and no one noticed. Around the same time, I started to immerse myself more fully in physics and astronomy, the great passions of my life. The simplistic, interventionist G-d I had been introduced to in school seemed so small, overly concerned with petty human arguments, thoroughly Earthbound. Looking into the night sky, I sensed the majesty of something far greater; everything balanced and choreographed by derivable, mathematical laws, from the smallest subatomic particles to the most immense structures of the Universe. It was beautiful, and magnificent. Despite the surface complexity, there was a simple elegance at the heart of all things. Here was something I could believe in. This insight was enough to draw me back to religion, but this time, on my own terms. I searched through the school library and found a Teach Yourself Hebrew book, then spent my free time secretly working through the exercises until I could match my few memorised prayers to the words in a siddur (prayer book). Semi-literate for the first time in my Jewish life, I returned to shul with renewed confidence. Now I could follow along, but still unable to translate, I took to reading some parts in English. I reasoned that if there is an omnipotent G-d, then he’d understand me in any language. As a student at the University of Birmingham, I found my spiritual home in the beautiful Singers Hill synagogue. I studied Talmud with Rabbi Tann zt”l every week for four years. A wonderful man, an orthodox rabbi and a biblical scholar, he made a point of shaking everyone’s hand on Shabbat morning, even mine. For the first time in my life, I felt included and valued by a community. Years passed, I married, moved to London, and kept up my involvement in the Jewish Community, but shul services became too predictable. I found myself bored and unfulfilled; doomed forever to observe the ritual but not take part. Then the Partnership Minyan (PM) emerged, and I willingly ate of its fruit. It didn’t take much – just a few subtle adjustments, the adoption of some of different, less restrictive rabbinical interpretations on a few key points – for the PM movement to transform, massively, the religious experience for both men and women while still retaining a recognisably orthodox framework. I remember the trepidation I felt when I was handed a Torah Scroll at a women’s service on Simchat Torah, breaking a lifelong taboo. Quickly realising that it was nowhere near as heavy as it looked, I leant the Scroll on my shoulder and danced with it in jubilation as I had seen the men do three decades before. Grandmothers, released at last from their long vigil in the gallery, cradled the Scroll in their arms, holding it as they would a young child. At my first PM service, an elderly lady was called up to the Torah to bless it; her first Aliyah. She stood before the congregation with tears in her eyes as she carefully intoned the words she must have heard thousands of times before, but never dared to dream she’d be allowed to say. A bat-mitzvah, in the truest sense of the word: no great fanfare, no big party, simply the fulfilment of a soul’s desire to serve its maker. For me, the most extraordinary thing about the PM experience is that it doesn’t feel transgressive; even when I had my first Aliyah, it felt right. In fact it feels perfectly natural, and sounds beautiful, to hear a woman’s voice leading the prayers and chanting the words of the Torah and Prophets. America and Israel are way ahead of us, with many women studying even now to be orthodox leaders, even if they haven’t yet settled on a title: Rabbah, Maharat, or Rabbi. In the UK community, these are still the golden days; Partnership Minyan is only just starting to establish itself within London and has yet to spread further. It is natural that while people like me thrill in the novelty of participation, some in the orthodox community will feel uneasy. I do, however, believe that this is simply the latest revolution in Jewish practice; at least half of the population has been quietly yearning for this for centuries, and now that there is momentum, it’s not going to stop. Over time, that which is seen as innovative in PM will gradually mellow into tradition, and become part of normative practice, just in time for the next change to emerge. This is not to be feared: it is precisely this kind of adaptation that has kept Judaism vigorously alive, and not simply preserved, for so long. I am glad that the young girls growing up in our community won’t have to fight for the right to learn and participate as I have all my life. For them, this freedom will be normal, and not something they will be able to easily set aside when they grow up. As for me, I rejoice that I am the desirous Eve, and that I have found both the knowledge and love I sought. I’m responding backwards – I will do part 2 next! All 3 sections have been very eloquently put. I enjoyed them all immensely. Just one thing here, I think, and this is just my humble opinion, that where you said that PM was the latest revolution within Judaism, I agree yet disagree too, (with which I hope you won’t find offence with): it’s an EVOLUTION. Orthodoxy has stayed stagnant, in its practice and has taken the Women’s Liberation Movement of the 70’s from secular society and a few decades from that, for society to get properly accustomed to women in the workplace. Now women have become accomplished in each of their own spheres, it only seems correct not just 2/3 of their lives is equal and fulfilling but that the last third, their spirituality, should be as close to that as it can possibly be. This is where the movement for PM comes in.